I know by now that you are wondering why I bother to stop in at the pub. It’s across town, it’s expensive and it is hard to find a parking place there. 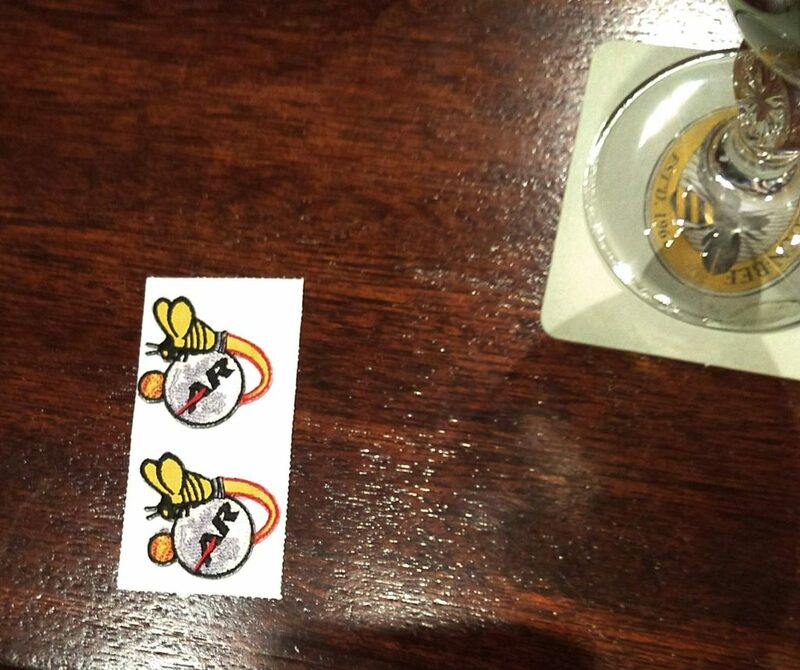 But there is an attraction to the place, it is called “The Golden Bee” and every time one stops in the bartender will throw an embroidered bee at one. Now most of the time it is just a regular bee, but they do feature a number of special bees throughout the year. And I try to show up for a pint on those special days. So this is the very newest bee. In fact I got the first ones that they handed out. 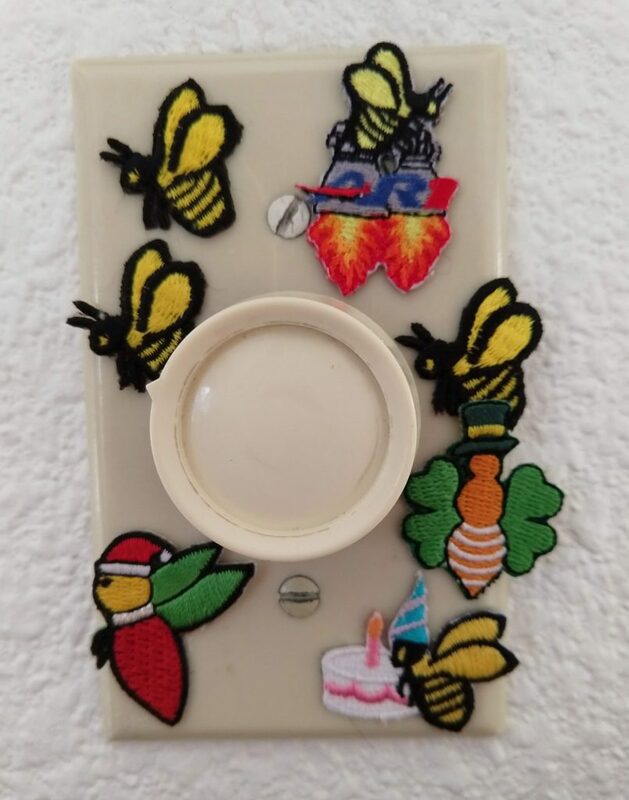 They have a big space symposium every year, all sorts of government types and defense contractors show up, so they make this special bee to commemorate the event. I had to get these before the conference started because the place is packed while all these free-spenders show up. 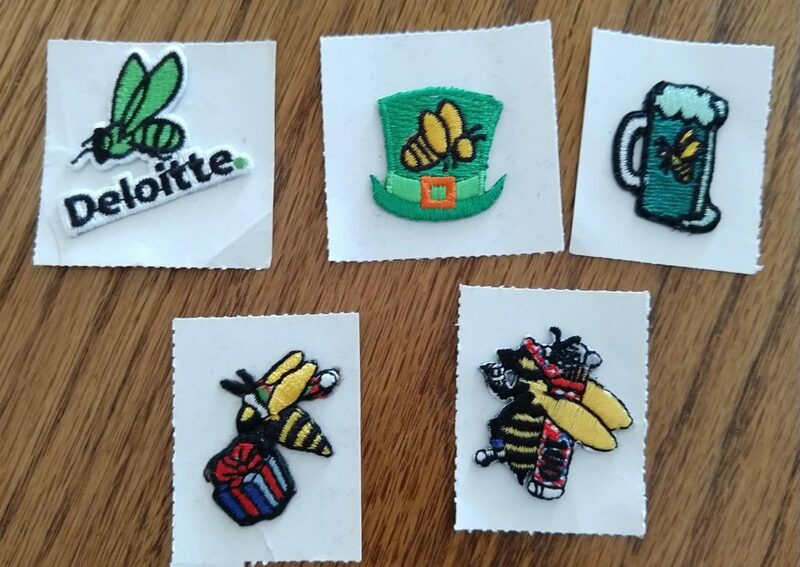 These bees are from: a big conference (they will make a special bee if your event is big enough), St. Patrick’s Day (no green beer is served here), Christmas and the Senior golf tournament from last summer (it was on TV). 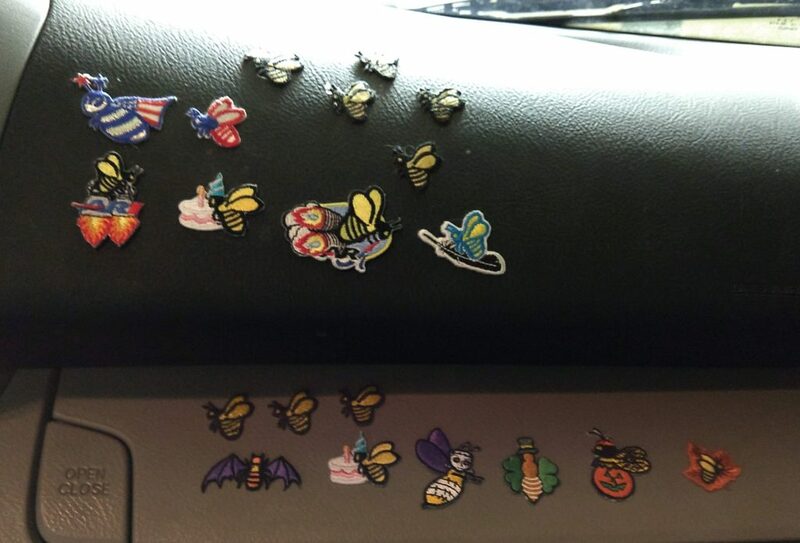 This is what I usually do with the bees, I put them on the dashboards of my cars (the rocket bees are from previous Space Symposiums). 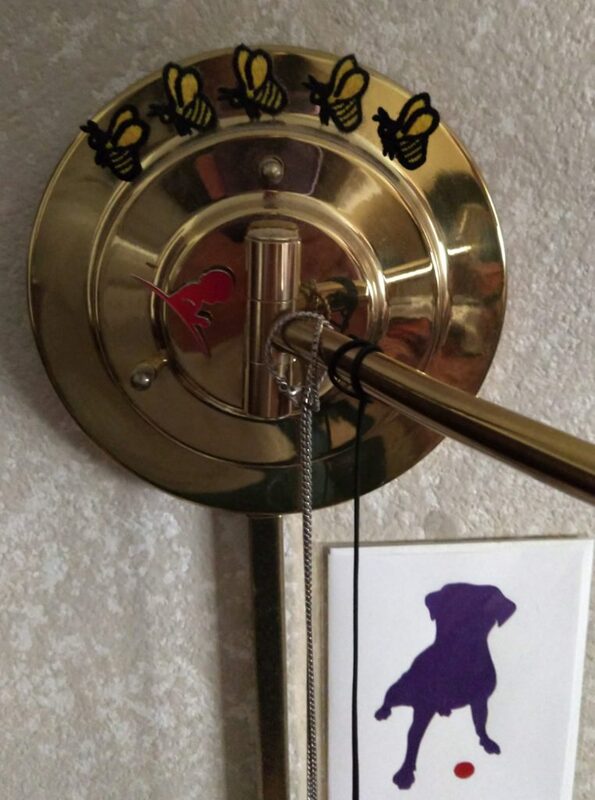 They do end up all over the house, these ones are in my sewing room. And this is the lamp in my bedroom. 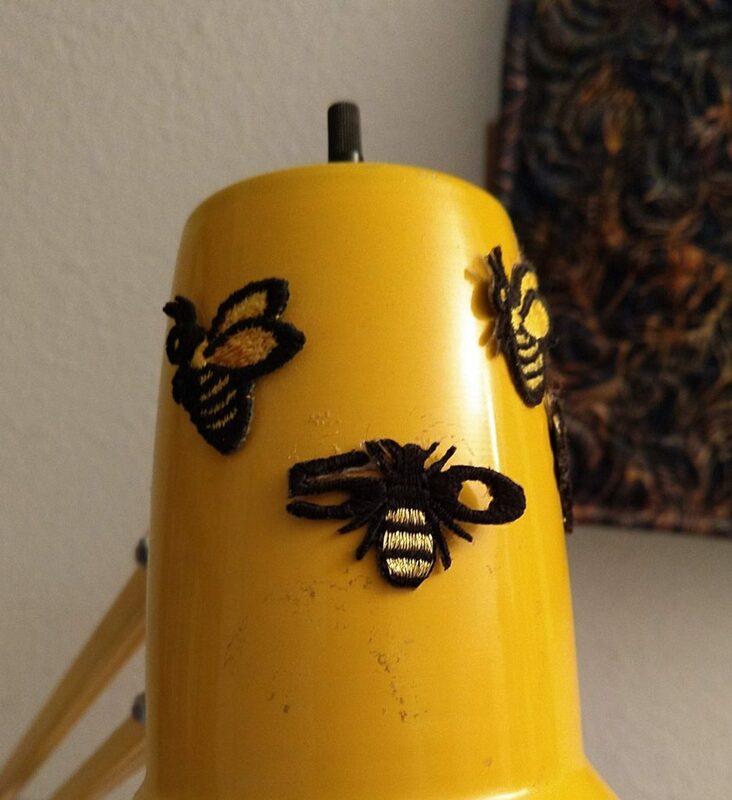 I love these bees. I have them stuck in various places too. I think I’ll try cider the next time I go to the Golden Bee.